Even before the end of the calendar year 2014, the largest U.S. retail chains had announced hundreds of store closings that will be happening in the calendar year 2015. The U.S. teen apparel retail chain Wet Seal then made a big splash early in the 2015 calendar year when its employees created some high profile social media revenge in response to store closures that were scheduled with little notice to its employees. Wet Seal had previously told its employees that it was not planning on closing stores but would be revitalizing, and reimagining its brand instead. Employees claimed the company's leaders lied about that so that there wouldn't be a mass employee exodus during the critical 2014 Christmas holiday shopping season. Perhaps the Wet Seal leaders did lie. Or perhaps a $28.8 million default notice from creditor Hudson Bay Master Fund Ltd. changed their minds on January 2, 2015. Whatever the truth is, many or all of Wet Seals retail stores closed in the U.S. in 2015, and it is likely to be just the start of some messy, complicated store closings expected from the largest U.S. retail chains. The general opinion among U.S. retail consumers and casual U.S. retail industry observers are that store closings are “bad” and a sign of weakness, while store openings are “good” and a sign of growth, expansion, and success. The store closings by U.S. retail chains in 2015 are not so easily categorized. Retail store closings in the U.S. have less to do with economic implications and more to do with sociological insights. Store closings are no longer about discretionary income as much as they are about consumer empowerment and how retail consumption is shapeshifting in response to rapidly changing consumer behaviors and preferences. The amount of commercial retail store space in the U.S. grew 12% from 1970 to 2010. In a consumer-driven economy where approximately 70% of the GDP is dependent on the purchase of goods and services, this seems like a positive indicator of economic expansion and strength. But during that same time period, the population of the U.S. consumers only grew 52%. So rather than being a sign of economic stability, the number of retail stores in the U.S. is more of a sign of retail store supply exceeding retail store demand. It’s not that consumers haven’t been making money and spending it on retail goods and services since the Great Recession. Rather, it’s that consumers are losing interest in and patience for the retail store distribution model. The tedious and time-consuming process of slogging from store to store seeking “the perfect” whatever is becoming less of an entertaining recreational hobby, and more of an avoidable annoyance. Retail store closings in the U.S. are no longer a reflection of poor economic health; they are a reflection of an antiquated distribution system that is increasingly losing its appeal to the average consumer. What follows is a complete, updated, and ongoing list of U.S. retail chains that have closed underperforming retail store locations, downsizing, or going bankrupt and out of business in the 2015 calendar year. Radio Shack, Sears, Target, Wet Seal, Office Depot, and Barnes & Noble are just some of the largest U.S. retail chains that announced store closings and downsizing plans for the calendar year of 2015. What follows is a complete roundup of U.S. retail chain store closing plans and total numbers of store closings. Information for this 2015 Store Closing List was obtained from reports made available to the general public through news reports, corporate documents, and company press releases, and was compiled and aggregated as new information was released throughout 2015. This 2015 U.S. Retail Store Closings list is arranged numerically according to the number of store closings. The number in the left column is the total number of stores that have been designated for closing in the calendar year of 2015 and beyond. The latest additions are indicated with bold lettering. This list was last updated on November 2, 2015. 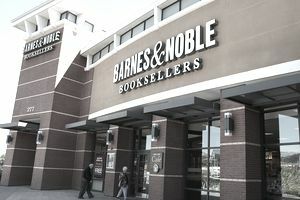 Although there were significant store closing plans announced by retail chains like Radio Shack and Target and restaurant chains like Ruby Tuesday and Friendly’s at the beginning of 2015, not all of the largest U.S. retail chains chose to make the company's total number of U.S. and global store closings available at the beginning of the year. Of course, the retail companies on the growing 2015 Retail Bankruptcies list didn’t have the option of hiding their 2015 store closing plans. But other retail chains like Gap, Ann Taylor, Sbarro, and Wendy’s chose to quietly close a small number of stores each quarter, hoping that the sum total of those 2015 store closings will go relatively unnoticed by shareholders and members of the press. It is not to suggest that there are retail chains that are deceptively hiding their 2015 store closing activities. There are probably some retail leaders who attempt to control the press and stock traders by keeping a lid on future store closing news. More than likely, though, it’s the volatility in the global and U.S. retail industry that prevents the leaders of some of the largest U.S. based retail chains from making specific plans about things like store closings and store openings 18 months in advance. They sometimes just don’t know what they don’t know. What follows is a list of U.S. retail chains that have closed or have announced intentions to closes in 2015. So far, these store closings are confined to single retail store locations. The number in the left column is the total number of stores that have been designated for closing in the calendar year of 2015 and beyond. The latest additions are indicated with bold lettering. This list was last updated on November 2, 2015. Aeropostale, Gap, Coach, JCPenney, and Kmart are just some of the U.S. brick-and-mortar retail chains with a prominent position on the 2015 Store Closings Index. This 2015 Store Closings Index is filled with the names of the largest U.S. based retail chains and retail restaurant chains that are downsizing their presence in physical retailing within and beyond the borders of the United States of America. In 2015, some retail chains like Bottom Dollar Food, Deb Shops, and Body Central closed stores in connection with a bankruptcy filing and will be going out of business forever in 2015. Others like Radio Shack and Wet Seal are rumored to be moving quickly down the downsizing road to bankruptcy as well. This 2015 Store Closings list is arranged alphabetically according to the name of the brick-and-mortar retail chains doing the closings. The number in the left column is the total number of stores that have been designated for closing in the calendar year of 2015 and beyond. The latest additions are indicated with bold lettering. This list was last updated on November 2, 2015. Store closings and store openings are a natural and ongoing part of doing business for all the largest U.S. based retail chains. But not all of the retail companies that will close stores in the 2015 calendar year are doing so as a regular course of business. Some of the largest and oldest U.S. retail chains like Sears, JCPenney, Macy’s RadioShack, and Staples closed retail store locations in 2015 because of a change in the course of their business. It’s not just about the shift in consumer preference to online and mobile shopping that is causing challenges for legacy U.S. retail chains. It’s also the inability to clearly define their target markets and understand their own unique selling proposition in those markets that is causing troubles for some retail chains that were once considered to be too big to fail. The 2015 Store Closings Index debunks the too-big-to-fail myth and proves instead that companies that are too rooted to the past will find it difficult or impossible to be relevant in the present or competitive in the future. It is a continuation of the Complete 2015 Store Closing Index, arranged alphabetically according to the name of the retail companies. The number in the left column indicates the total number of retail store locations that each retailer plans to close in the 2015 calendar year. This list was last updated on November 2, 2015. The latest additions are indicated with bold lettering.